The William Rehnquist of John Jenkins's new biography is the same rigid, reactionary and arguably racist jurist hated by liberals and loved by conservatives during his three decades on the Supreme Court and 19 years leading it. 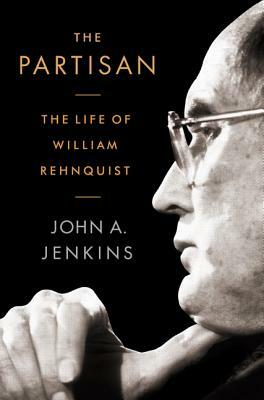 In a bracing introduction to his book "The Partisan: The Life of William Rehnquist" (PublicAffairs), Jenkins writes that "Rehnquist's judicial philosophy was nihilistic at its core, disrespectful of precedent and dismissive of social, economic and political institutions that did not comport with his black-and-white view of the world." Fox News interview-William Rehnquist's rise to the Supreme Court: John A. Jenkins examines the life of the chief justice. 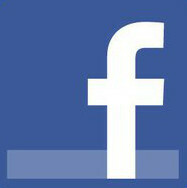 Northeast Public Radio- John A. Jenkins is interviewed on The Roundtable. 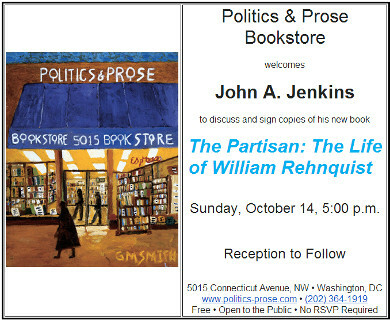 Politics and Prose- Listen to John A. Jenkins as he discusses The Partisan. Listen to a recording of John's discussion at Politics and Prose. Books Q & A- Read the transcript of Deborah Kalb's interview with John A. Jenkins. 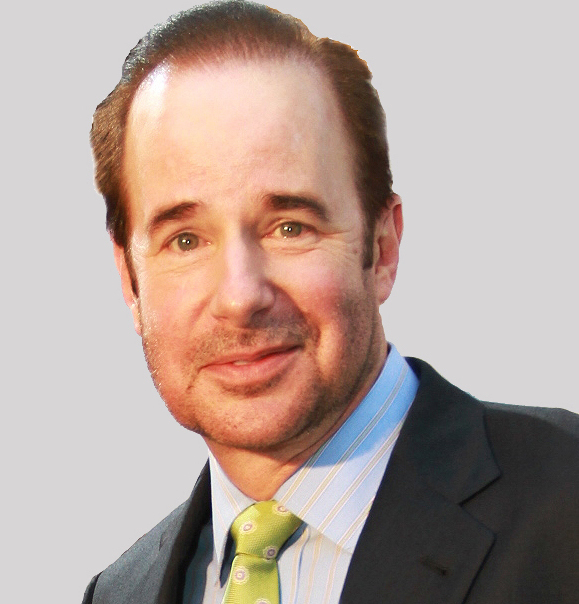 Culture Shocks- Listen to John A. Jenkins as he discusses The Partisan with syndicated radio show host Barry Lynn.